It is very Sicilian to say someone is as good as bread.There is nothing better or pure and simple as freshly baked bread. Lui e’ buono come pane means he is as ‘good as gold’ as Australians say. Sicilians are less materialistic in their turn of phrase, history has made them humble and appreciate the gift of bread to an empty stomach. 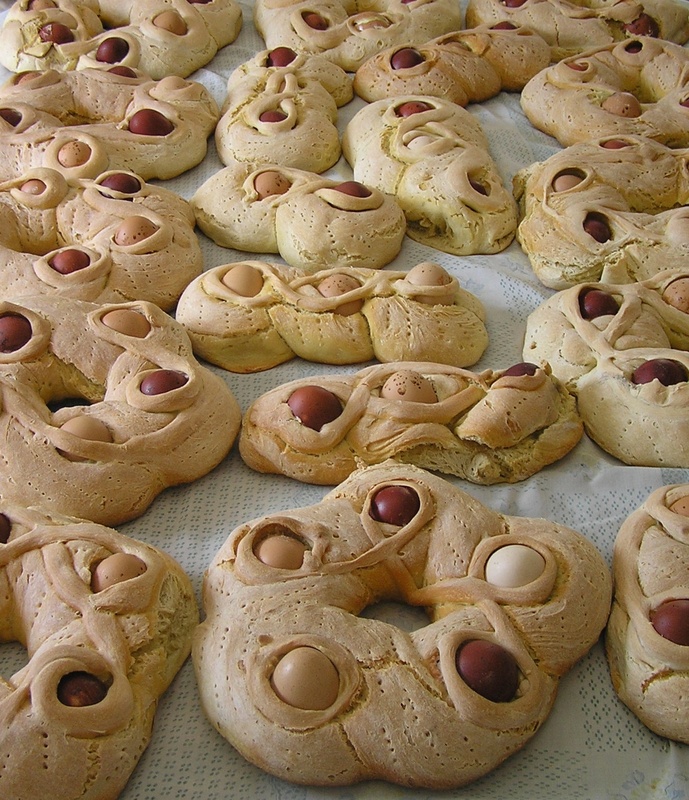 For Easter Sicilians use their good bread to pay tribute to the promise of new life spring brings and the hope that Jesus’s religious sacrifice gives to Roman Catholics. 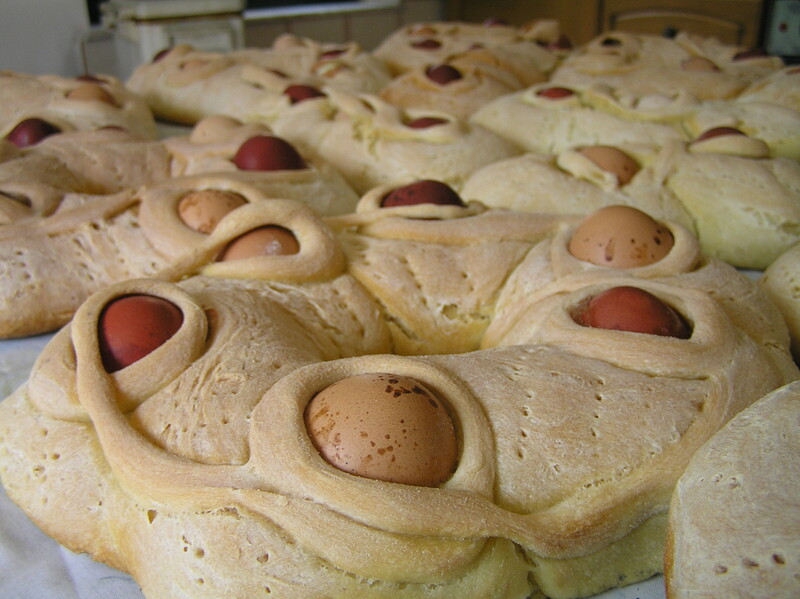 The ‘cuddurunni’ bread decorated with eggs (some coloured red from boiling them with the root of a native plant) is the traditional Easter gift. Before the chocolate kinder surprise filled eggs there were the Cuddurunni a symbolic gift that gave others the intrinsic goodness of bread with the springtime delicacies of oven baked eggs. Most chickens in the historically agricultural society of Sicily probably didn’t lay eggs in the harsh winters and so they literally had to wait for spring even for their eggs! So here’s having a good Easter filled with simplicity and being buono come pane. P.S: The photo’s are of my very clever sister in law Antonella’s baking prowess.